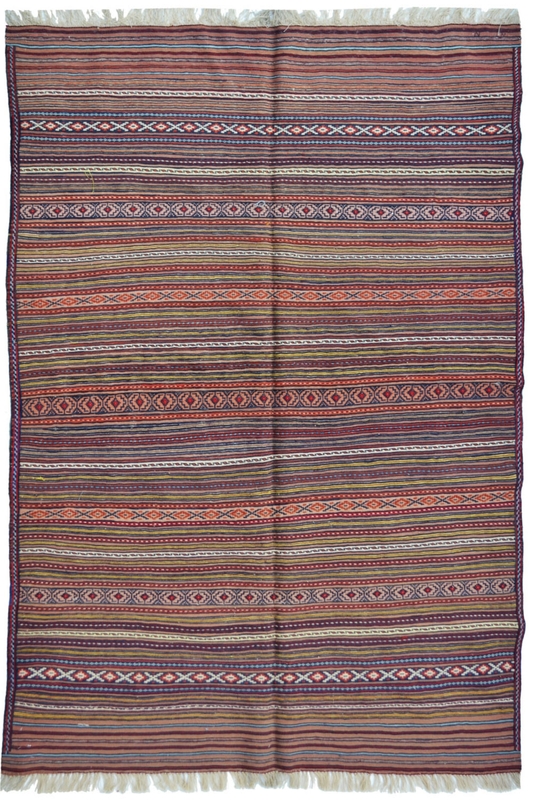 This stripe pattern carpet is made in wool and kilim material on a handloom. This is woven in flat-woven technique and that’s why there is no pile and knots. It looks like flat-woven dhurrie and ideal for a modern and as well as traditional home décor. Provide a cozy touch to your décor by placing this beautiful simple kilim area rug which contains stripe design pattern. It is made in multi-color so it will easily blend with any type of décor. It is a medium size rug and you can place it in the center of your living room or in front of your bed in your bedroom. This rug dhurrie is woven in wool and cotton material.